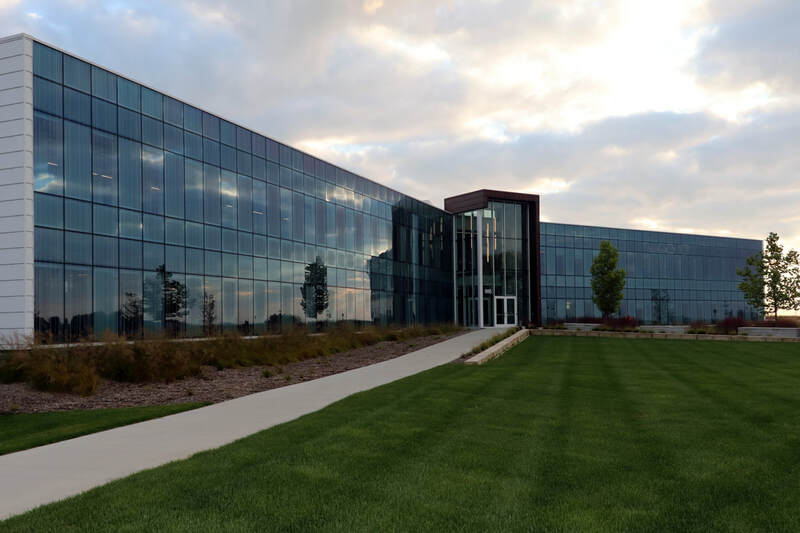 The Development Core Facility at the Iowa State University Research Park is a 42,000 sq. ft. office building that brings many functions of ISU's economic development and company assistance programs together under one roof. This building serves as the hub of the newly developed research park, which aims to be an incubator for new and expanding businesses. The exterior of the building features a unitized, curtainwall system with specially-sourced custom frit pattern glass. The 30-ft.-tall units allowed AWS crews to set the entire envelope within a four week period. 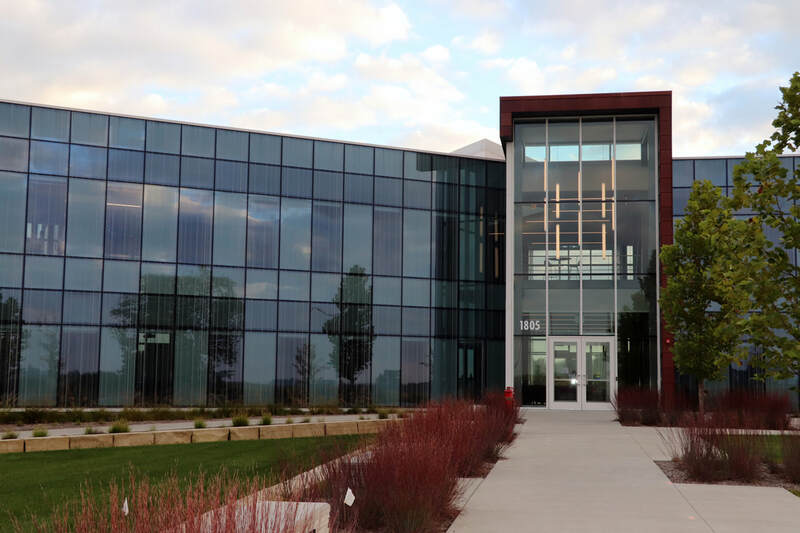 In addition to the glass curtainwall, AWS also installed a sloped skylight system that lets in even more natural light to provide a desirable work environment for the building's occupants.